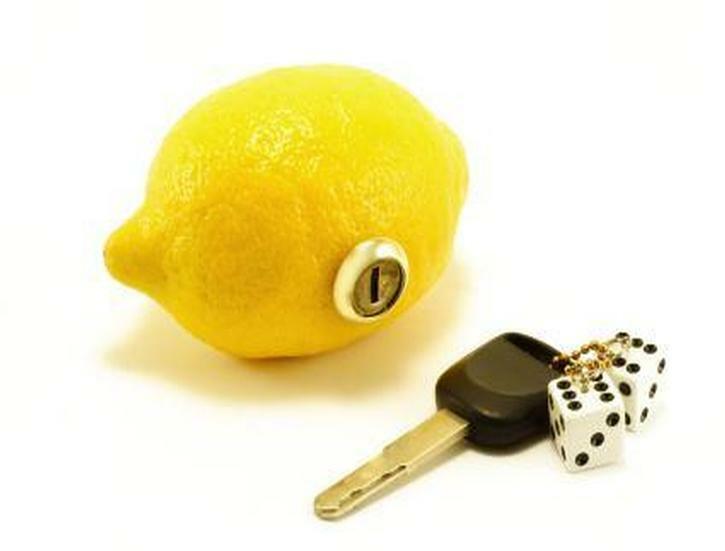 Laws on Lemon Cars in Australia – How Protected Are You? With revs check and a car history report in hand, you can always determine if it is worthy to invest in a lemon car, or just like the bitter fruit itself that inspired its name, a car that is defective or poorly built. But, the million dollar question is, do the lemon laws in Australia really protect you? And if yes, why do you even need to care about such laws if the vehicle you got is of strong and solid track record, something German or Japanese, in fact? As modern cars of today are engineered and designed by some of the most intelligent minds in the industry, tested on rigorous grounds, crawled over crashed, and driven long distances prior to putting them on display in showrooms, what could potentially go wrong? Sadly, the answer is everything. The truth is that it doesn’t not even matter whatever the brand you opted to buy although some are no doubt worse compared to others. Based on a major survey conducted, it was revealed that around 66% of car owners reported mechanical issues within the initial 5 years of their ownership. Yes, some of these issues were minor ones that could be fixed easily but what is worrisome is that 14% of owners reported serious and major issues which seriously impaired or left their cars unusable. You can never tell when that smile on your face will be wiped off once you discovered some issues with your new wheels, like a quick change in the interior before you even made it out of the dealership driveway or worse, a recurrent and annoying problem that meant your vehicle spending more time in the repair shop than it does on the roads, with mechanics trying again and again to solve the issue. Any such situation is definitely a big no-no but a bigger question is what really happens if something goes wrong with your car? Without concrete lows on lemon cars in Australia, you will not be enjoying similar protections automatically which are available in other countries. For instance, in the United States, stringent lemon laws offer consumers with solid protection yet these can differ from one state to another. Adhering to this kind of system of American style in Australia would see most buyers forced into wading through the regulations that cover lemon laws in NSW, Western Australia, Victoria, or Queensland, depending where they bought their vehicle. Advocates of Lemon Laws Australia unsurprisingly wish to have a nationwide applied rule which will cover all territories and states. But in the US, specifically California, a new car is under protection by the lemon laws of the state within the warranty period’s duration, ensuring that the moment reasonable attempts of repairing the car is made by the manufacturer, this will be replaced with a brand new car, or there will be a refund of the cost. Details can get a bit lost in legal terms yet the basic understanding of it all is that once a manufacturer makes two tries to repair an issue on the warranty serious enough to lead to injuries or death, or any single problem 4 times, or when the car is out of service for a total of 30 days, the buyer gets entitled to purchase price refund or replacement vehicle. Singapore has also its own simplified version of the lemon laws. These are held up by the Australian campaigners as an ideal system to be implemented. Their system provides the consumers the automatic right to return the products the fails within the first thirty days of the purchase and was proposed to Federal Government during a 2-year lemon-law review. Unluckily and not really atypically for the slow moving government, there are still some changes to the Australian laws. According to Zac Gillam of CALC or Consumer Action Law Center, they reverse the responsibility of the proof. Therefore, if a person purchases a good and within 6 months of purchase of this good it is defective, they can return it to the retailer and presumption is that the item was defective. It depends on the retailer to show the item isn’t defective when it’s sold. In the system of Australia and majority of systems, the duty lies on the consumers to show that the item was defective. China has also its own version of the lemon laws like UK and some jurisdictions. However, Australia does not have, yet there is ACL or Australian Consumer Laws that were upgraded in year 2011 and were reviewed again that the critics say do not go far enough. That is the reason why they are still pushing for much stricter lemon laws to be implemented and introduced. Unsurprisingly, car companies stated that the current laws are harsh enough thanks to in spite the fact that companies operate under far stricter conditions in several countries. The concept behind the Australian Consumer Laws is simple. If there’s a major failure identified and the owner of the car likes a refund for a lemon, that consumer may demand it. However, what constitutes the major failure is a little grey area. Reasonable consumers wouldn’t have purchased the motor vehicle if they’re knowledgeable about the problem’s full extent. For instance, there are no reasonable consumers who would purchase a new car with many recurring faults that the vehicle spent more time off on the road than on it since some mechanics were not able to resolve the problem. The car or motor vehicle is different from the sample, description or demonstration model that’s shown to the consumer. For instance, the consumer orders the car with diesel engine after test driving the demo model, yet the vehicle delivered has petrol engine. There are several exceptions that cover things including aftermarket accessories and user-error. However, consumers cannot declare a major failure although it’s a significant engine fault. But rather, the dealership has to repair the issue and you will spend on your way. For this reason, check the car history report or revs check before purchasing a car.